The best welcome to Monkey Bizness! 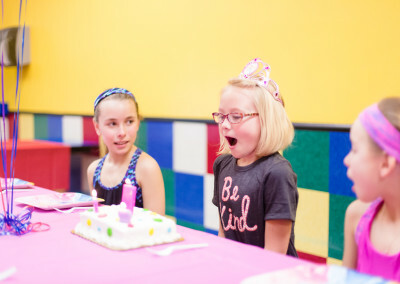 We believe that Monkey Bizness is one of the best venues to host your child’s birthday party. We offer several birthday party packages to suit the style of party you wish to have for your child. All of our birthday party packages include dedicated party hosts, utensils and an option of private or semi-private play in our indoor playgrounds and are competitively priced compared to other venues. If you are looking for birthday party ideas, please feel free to browse our website for some of the coolest birthday party ideas and cakes we have hosted at our locations. At Monkey Bizness, we built our indoor playground for kids ages 1-10 in mind. All of our locations have dedicated toddler playground areas so that younger kids can play in a clean and safe environment that is away from the big monkeys. Every location’s indoor playground is slightly different. Little Monkey Bizness locations are are especially built for children for ages 1-6 years old and feature a cafe for parents to enjoy freshly brewed coffee while their kids play. Our original Monkey Bizness locations are suited for kids ages 2-10 years old and feature large inflatable slides and obstacle courses. Monkey Bizness is a place where kids can truly monkey around! 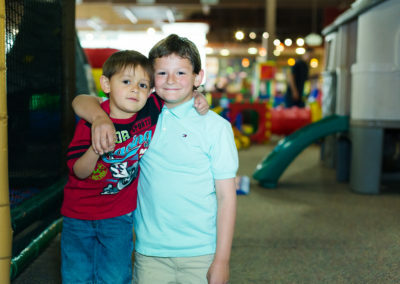 Our giant indoor playground provides a safe, clean, environment for family fun. 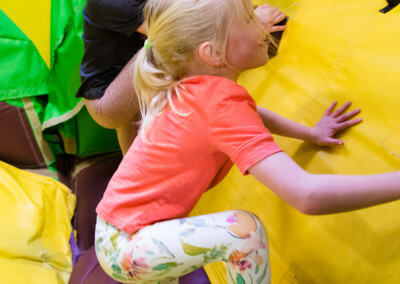 Children ages 1-10 are guaranteed to delight in the inflatable bouncy houses, slides, jungle gyms, and climbing walls and toys. Dedicated toddler playground areas provide a safe environment that is separated from “the big monkeys”.